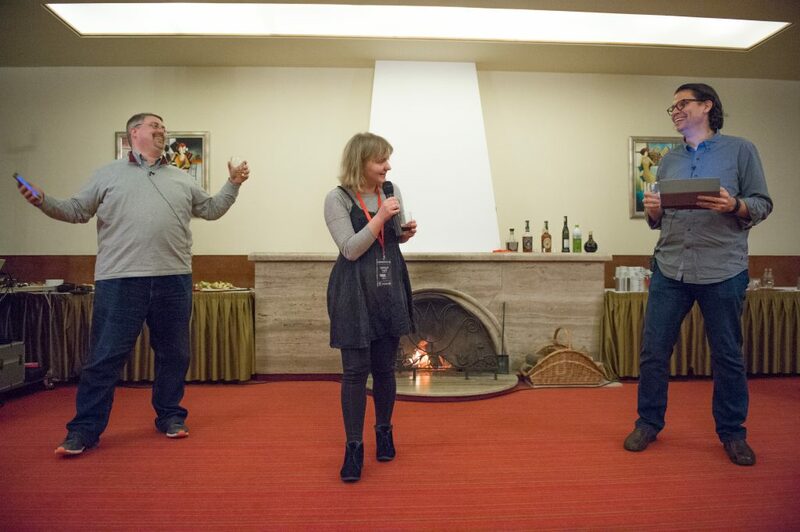 Last week, I attended the sixth annual Superweek conference outside Budapest, Hungary. I have not come away from a conference with my head buzzing as much as this since I attended a TDWI conference 15 years ago. This isn’t going to be a recap post so much as an arbitrary list of ten things that have popped into my head as I’ve been reflecting on the week, in no particular order. Google Analytics — Do We Even Need It? During a discussion with Marco Petkovski of YogaGlo and Ophir Prusak of Rollout.io, Marco made a comment to the effect of, “So, analysts are starting to realize they don’t really need Google Analytics, right?” His point was that motivated analysts at sophisticated companies were surely already cobbling together their own ecosystem of tools that were best of breed and maximally configurable for their specific businesses. I wound up pulling out my phone to try to capture a list of what sorts of alternatives/supplements he was referring to. 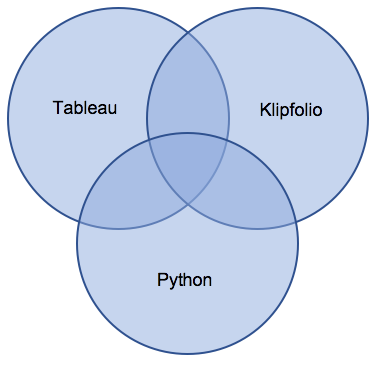 That list included Segment, Fullstory (which Ophir gushed about a bit as well), Tableau, Intercom, and a handful of other visualization and database technologies. I might not have those details quite right, but it was clear that Marco had been stitching together a robust and tailored platform, which allowed him to do things like take advantage of a best-of-breed recommendations API for delivering more targeted content on his company’s site. It certainly seems like it already has, largely due to the efforts of a highly motivated analyst (although he admitted that there might be a bit more knowledge in his head than would be ideal should ownership need to transition elsewhere). Frankly, this left me concerned that too many analysts aren’t motivated enough to be continually identifying gaps and filling them. The 2017 equivalent of, “Nobody ever got fired for buying IBM,” is, “Nobody ever got fired for buying Google or Adobe.” There are a lot of promising technologies out there, and the challenge is figuring out which ones are sufficiently differentiating and mature to warrant taking the risk that comes along with them having a relatively small market footprint. Basically, he aimed to have a limited set of platforms (others — like R — had been part of the mix in the past, but had been discarded), each with their core use cases, but which all had some overlap. No one on his team is a super user of all three tools, but there is some level of cross-training. This felt very “right,” to me as a strategy. And, notice that no web analytics platform is, itself, treated as a core reporting or analysis tool (just the data from those platforms). I spent a lot of time with Matt Gershoff from Conductrics over the course of the week. My most important takeaway there was that, no, there is no such thing as “too much Matt.” I’d always suspected as much. And, as tends to happen when I get time with him, I was smarter for the experience (I now can speak with some confidence about stationary vs. non-stationary data! ), but I also realized I’ve got a lot more smarts to gain! Matt gave a talk about reinforcement learning. Do I fully get it yet? No. Am I starting to get it? Maybe. Is this a real thing that very likely will be applied more and more often in the space we refer to as “digital analytics?” I think that’s quite likely. Matt pointed out that while, yes, it took hundreds of iterations for DeepMind to “learn” the optimal strategy of getting the ball up on top of the space and bouncing around, that was a fraction of the number of iterations that would have been required if the approach had simply been to “develop a bunch of scenarios and have the machine try them out.” The latter approach would be more along the lines of multivariate testing, and it would have been wildly inefficient! My mind was a little blown by this…and I’m still not equipped to fully articulate my own, “Aha!” Stay tuned. And…Tensorflow (which was Tahir Fayyaz from Google — not Matt. But, it falls in this same broad area). If the takeaway above is about the scary-exciting medium-term future, there are also lots of clever things to be done in the immediate here and now. Damion Brown from Data Runs Deep walked through various tricks for getting various types of helpful, supplemental data into Google Analytics using IFTTT, Zapier, and other low-cost options in his The Missing Automation Layer session. That reminded me of presentations that I’ve seen Jeff Sauer give in the past (Jeff wasn’t able to make the conference in Hungary this year, but he sent his regards). The specific tips were great (as was a session on dimension widening), but the larger point for me was the continued need to get smart with what we have on hand now. I am historically allergic to Myers-Briggs. Maybe I shouldn’t be. And maybe I should be more cognizant of my own risk tolerance and conflict avoidance. And the risk tolerance and conflict avoidance of others. Superweek Hungary is 1.5 hours outside of Budapest in a pretty remote location. It’s at a hotel/resort that the conference takes over for the week. The accommodations are great, the food is great, the views are spectacular. But, it is isolated. As a pretty long conference (4 days for the “main event,” plus a day of training before that), I wondered if I’d miss the ability to just duck out and “explore the city” or “meet up with a non-analytics friend” that is always tempting in San Francisco or Chicago or Boston. I didn’t miss that opportunity at all. With the format of the conference, I managed to have extended conversations and/or multiple conversations with people I’ve known well for years, others that I’ve long known only from afar, and sharp people I’d never known at all…but now do! The Digital Analytics Power Hour was inspired by the discussions that happen in the bars after the sessions are over at analytics conferences. 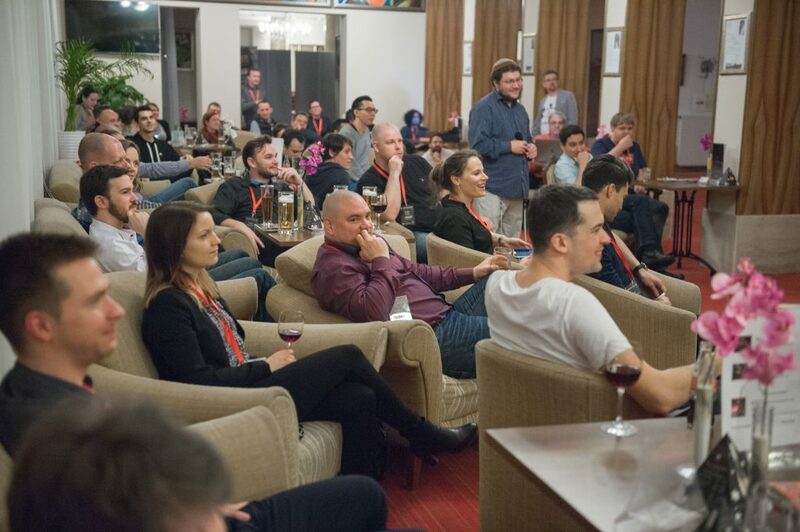 Superweek has “Fireside Chats” each evening at 8:30, and Michael Helbling and I got to record an episode with a live audience with a roaring fire toasting our backsides and a delicious selection of bottled alcohol from around the world to lubricate the discussion. That was… awesome (the episode releases next week). 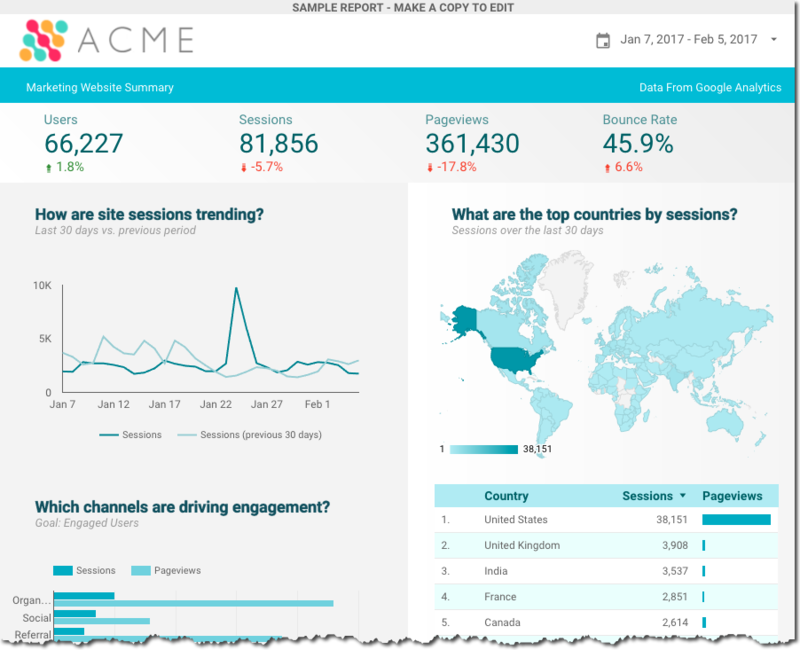 In theory, someone could create the Acme Marketing sample report / template in Data Studio using BigQuery data rather than “standard” Google Analytics dimensions and metrics. Right? That would give the analyst a starting point where they could dive much deeper and get familiar with the BigQuery schema. I got two different small groups to nod and agree with this idea…but I couldn’t tell if they really agreed or, rather, if they just wanted me to shut the hell up. Posited that blockchains could potentially be a solution to privacy concerns for digital marketers — having tracking that is detailed, yet absolutely anonymized. Cool thought (give next week’s podcast a listen to hear her explanation). Introduced me to Kim Stanley Robinson (to his writing — not to him, personally). I’m halfway through Aurora and enjoying it immensely. Does it have a direct link to digital analytics? Maybe not. But it’s a damn good read that’s making me think. Proposed that, perhaps, part of the challenge we have with bringing new analysts into the industry is an ontology problem. It’s not easily solvable…but she may be right. 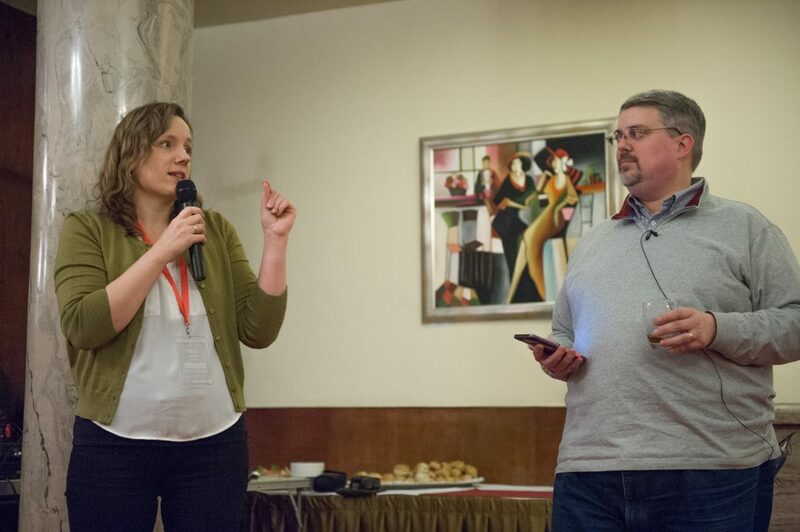 Astrid was also responsible for my first out loud laugh of the conference when, in a discussion about my inability to pronounce the “r” in her name in a non-American way, she quipped, “Well, we all know how you love R, Tim.” Zing! I simply can’t count how many analysts made me think, laugh, and think some more in discussions over the course of the week. I hope to find some in Ohio.